IAES Institute of Advanced Engineering and Science is a non-profit international scientific association of distinguished scholars engaged in engineering and science. IAES publishes high quality international journal in engineering and science areas. All articles published by IAES will have unique DOI number. The DOI prefix is: 10.11591.
International Journal of Informatics and Communication Technology (IJ-ICT) is a common platform for publishing quality research paper as well as other intellectual outputs. 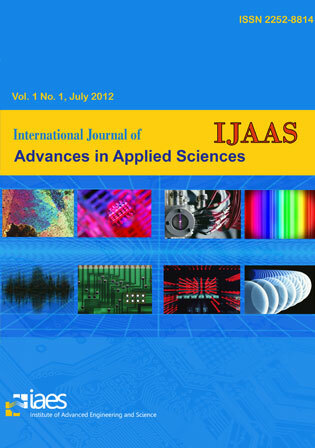 This Journal is published by Institute of Advanced Engineering and Science (IAES) whose aims is to promote the dissemination of scientific knowledge and technology on the Information and Communication Technology areas, in front of international audience of scientific community, to encourage the progress and innovation of the technology for human life and also to be a best platform for proliferation of ideas and thought for all scientists, regardless of their locations or nationalities. 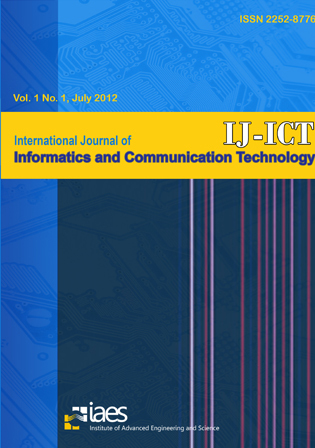 The journal covers all areas of Informatics and Communication Technology (ICT) focuses on integrating hardware and software solutions for the storage, retrieval, sharing and manipulation management, analysis, visualization, interpretation and it applications for human services programs and practices, publishing refereed original research articles and technical notes. It is designed to serve researchers, developers, managers, strategic planners, graduate students and others interested in state-of-the art research activities in ICT. 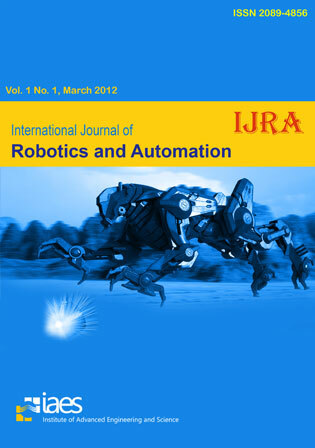 IAES International Journal of Robotics and Automation (IJRA), ISSN 2089-4856 is an open access, international peer reviewed journal which is providing a platform to researchers, scientists, engineers and practitioners/professionals throughout the world to publish the latest creations and achievement, future challenges and exciting applications of.manufacture and applications of robots and computer systems for their control and automation, sensory feedback, and information technology to reduce the need for human work. Robots are becoming part of people's everyday social lives and will increasingly become so. In future years, robots may become caretaker assistants for the elderly, or academic tutors for our children, or medical assistants, day care assistants, or psychological counselors. Robots may become our co-workers in factories and offices, or maids in our homes. IJRA aims to publish most complete and reliable source of information on the discoveries and current developments in the mode of original articles, review articles, case reports and short communications in all areas of the field and making them freely available through online without any restrictions or any other subscriptions to researchers worldwide. This journal is aiming to push the frontier of robotics into a new dimension, in which motion and intelligence play equally important roles. Its scope includes (but not limited) to the following: automation control, automation engineering, autonomous robots, biotechnology and robotics, emergence of the thinking machine, forward kinematics, household robots and automation, inverse kinematics, Jacobian and singularities, methods for teaching robots, nanotechnology and robotics (nanobots), orientation matrices, robot controller, robot structure and workspace, robotic and automation software development, robotic exploration, robotic surgery, robotic surgical procedures, robotic welding, robotics applications, robotics programming, robotics technologies, robots society and ethics, software and hardware designing for robots, spatial transformations, trajectory generation, unmanned (robotic) vehicles, etc. 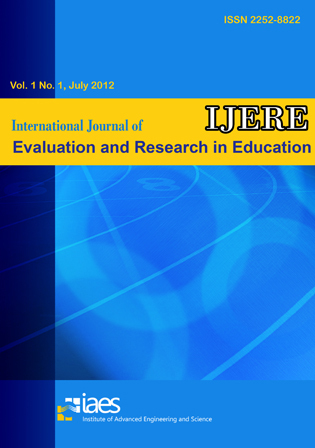 The International Journal of Evaluation and Research in Education (IJERE), p-ISSN: 2252-8822, e-ISSN: 2620-5440 is an interdisciplinary publication of original research and writing on education which publishes papers to international audiences of educational researchers. The IJERE aims to provide a forum for scholarly understanding of the field of education and plays an important role in promoting the process that accumulated knowledge, values, and skills are transmitted from one generation to another; and to make methods and contents of evaluation and research in education available to teachers, administrators and research workers. The journal encompasses a variety of topics, including child development, curriculum, reading comprehension, philosophies of education and educational approaches, etc. This Journal has been indexed by . 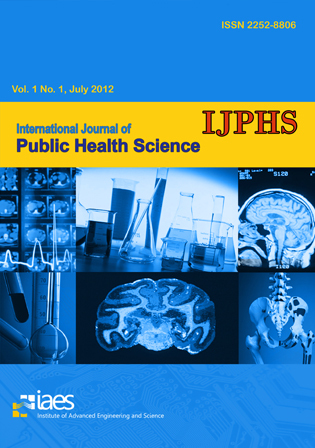 International Journal of Public Health Science (IJPHS) p-ISSN: 2252-8806, e-ISSN: 2620-4126 is an interdisciplinary journal that publishes material on all aspects of public health science. This IJPHS provides the ideal platform for the discussion of more sophisticated public health research and practice for authors and readers world wide. The priorities are originality and excellence. The journal welcomes high-impact articles on emerging public health science that covers (but not limited) to epidemiology, biostatistics, nutrition, family health, infectious diseases, health services research, gerontology, child health, adolescent health, behavioral medicine, rural health, chronic diseases, health promotion, evaluation and intervention, public health policy and management, health economics, occupational health and environmental health. The centre of gravity of the computer industry is now moving from personal computing into embedded computing with the advent of VLSI system level integration and reconfigurable core in system-on-chip (SoC). Reconfigurable and Embedded systems are increasingly becoming a key technological component of all kinds of complex technical systems, ranging from audio-video-equipment, telephones, vehicles, toys, aircraft, medical diagnostics, pacemakers, climate control systems, manufacturing systems, intelligent power systems, security systems, to weapons etc. The aim of IJRES is to provide a vehicle for academics, industrial professionals, educators and policy makers working in the field to contribute and disseminate innovative and important new work on reconfigurable and embedded systems. 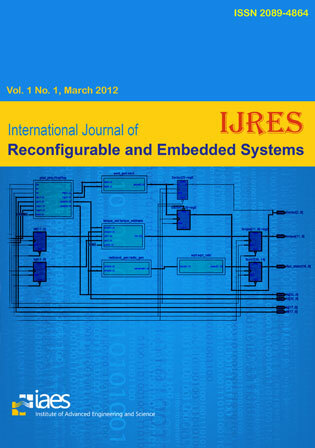 The scope of the IJRES addresses the state of the art of all aspects of reconfigurable and embedded computing systems with emphasis on algorithms, circuits, systems, models, compilers, architectures, tools, design methodologies, test and applications. 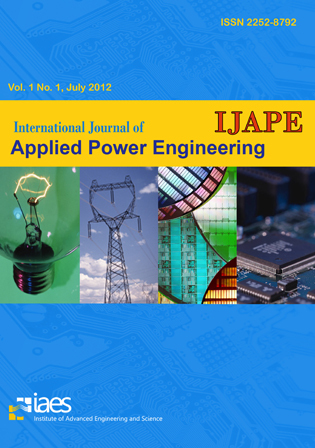 International Journal of Applied Power Engineering (IJAPE) focuses on the applied works in the areas of power generation, transmission and distribution, sustainable energy, applications of power control in large power systems, etc. The main objective of IJAPE is to bring out the latest practices in research in the above mentioned areas for efficient and cost effective operations of power systems. The journal covers, but not limited to, the following scope: electric power generation, transmission and distribution, energy conversion, electrical machinery, sustainable energy, insulation, solar energy, high-power semiconductors, power quality, power economic, FACTS, renewable energy, electromagnetic compatibility, electrical engineering materials, high voltage insulation technologies, high voltage apparatuses, lightning, protection system, power system analysis, SCADA, and electrical measurements. 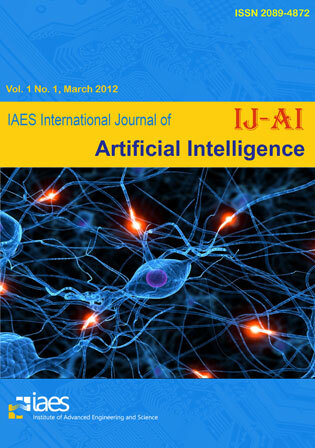 IAES International Journal of Artificial Intelligence (IJ-AI), ISSN/e-ISSN 2089-4872/2252-8938 publishes articles in the field of artificial intelligence (AI). The scope covers all artificial intelligence area and its application in the following topics: neural networks; fuzzy logic; simulated biological evolution algorithms (like genetic algorithm, ant colony optimization, etc); reasoning and evolution; intelligence applications; computer vision and speech understanding; multimedia and cognitive informatics, data mining and machine learning tools, heuristic and AI planning strategies and tools, computational theories of learning; technology and computing (like particle swarm optimization); intelligent system architectures; knowledge representation; bioinformatics; natural language processing; multiagent systems; etc. The review of this journal is now complete and the Scopus Content Selection and Advisory Board (CSAB) has advised that the journal will be ACCEPTED for inclusion in Scopus. 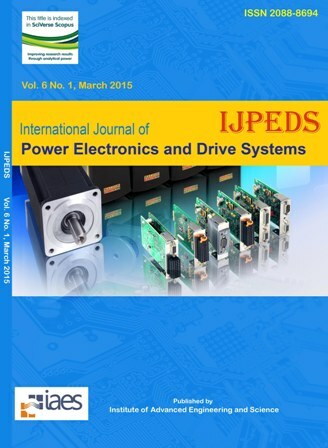 International Journal of Power Electronics and Drive Systems (IJPEDS, ISSN: 2088-8694, a SCOPUS indexed Journal) is the official publication of the Institute of Advanced Engineering and Science (IAES). The scope of the journal includes all issues in the field of Power Electronics and drive systems. Included are techniques for advanced power semiconductor devices, control in power electronics, low and high power converters (inverters, converters, controlled and uncontrolled rectifiers), Control algorithms and techniques applied to power electronics, electromagnetic and thermal performance of electronic power converters and inverters, power quality and utility applications, renewable energy, electric machines, modelling, simulation, analysis, design and implementations of the application of power circuit components (power semiconductors, inductors, high frequency transformers, capacitors), EMI/EMC considerations, power devices and components, sensors, integration and packaging, induction motor drives, synchronous motor drives, permanent magnet motor drives, switched reluctance motor and synchronous reluctance motor drives, ASDs (adjustable speed drives), multi-phase machines and converters, applications in motor drives, electric vehicles, wind energy systems, solar, battery chargers, UPS and hybrid systems and other applications. 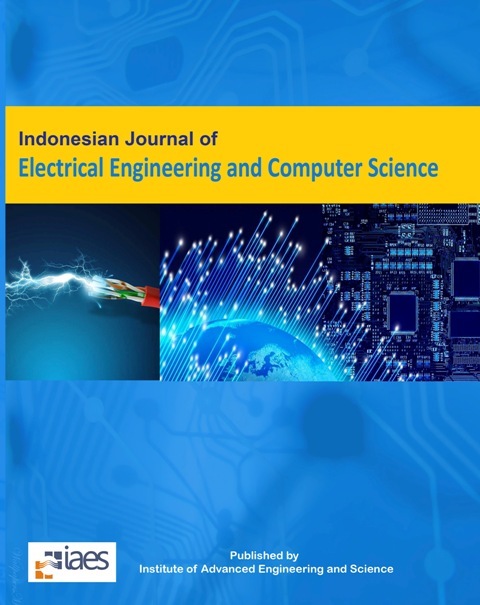 International Journal of Electrical and Computer Engineering (IJECE, ISSN: 2088-8708, a SCOPUS indexed Journal, SNIP: 1.001; SJR: 0.296; CiteScore: 0.99; SJR & CiteScore Q2 on both of the Electrical & Electronics Engineering, and Computer Science) is the official publication of the Institute of Advanced Engineering and Science (IAES). The journal is open to submission from scholars and experts in the wide areas of electrical, electronics, instrumentation, control, telecommunication and computer engineering from the global world. 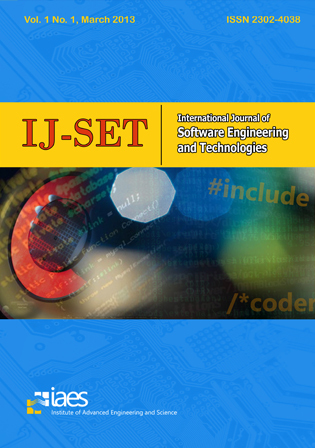 The International Journal of Software Engineering and Technologies ( IJSET) is a publication for researchers and developers to share ideas and results of software engineering and technologies. These journal publish some types of papers such as research papers reporting original research results, technology trend surveys reviewing an area of research in software engineering and technologies, survey articles surveying a broad area in software engineering and technologies. The scope covers all areas of software engineering methods and practices, object-oriented systems, rapid prototyping, software reuse, cleanroom software engineering, stepwise refinement/enhancement, ambiguity in software development, impact of CASE on software development life cycle, knowledge engineering methods and practices, formal methods of specification, deductive database systems,logic programming, reverse engineering in software design, expert systems, knowledge-based systems, distributed knowledge-based systems, knowledge representations, knowledge-based systems in language translation & processing, software and knowledge-ware maintenance, Software Specification and Modeling, Embedded and Real-time Software (ERTS), and applications in various domains of interest. 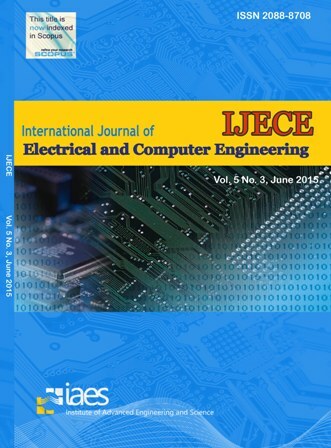 International Journal of Information and Network Security (IJINS) is the official publication of the Institute of Advanced Engineering and Science (IAES). The journal is open to submission from scholars and experts in the wide areas of communication network and information security from the global world. Aim and scopes in data/computer communications and information security domains include: computer networks, data communications, distributed computing, heterogeneous & ubiquitous, network and information security, network forensics, network attack, intrusion detection/ prevention System, network penetratrion testing, network architecture & design, wireless ad hoc and sensor networks, networks and wireless networks security issues, advanced network protocol design and analysis, network management, botnet and malware, multimedia networking, performance modelling & Simulation, Quality of service, routing and traffic engineering.